Whether you’re for having eggs as a regular part of the diet or against it, there is no question that this particular food has a wide variety of uses. From having them sunny side up to hard-boiling them for egg salad, there are some incredible dishes that can be created using this versatile ingredient. Here is a look at some of the best dishes the human mind has invented. How can you go wrong with a frittata? It’s a lot like a flip-over omelet, but requires not as much skill to pull off. Just throw in your favorite vegetables, add a little cheese if you want, and you’re ready for a great meal! Top it off with some salsa, sour cream, or dill sauce for the final touch. It’s a classic combination that is enjoyed millions of times every morning. You can have the eggs sunny side up for a good treat, but easy over or scrambled eggs with some crisp bacon and butter toast work just as well. To improve the breakfast even more, just add more bacon. It isn’t as hard to create a soufflé as people think… unless you’re trying to make a cheese version, that is. It’s light and fluffy when done right and you can make it a dessert or a savory dish depending on your mood. I’ll take a chocolate one every time it’s on the menu! 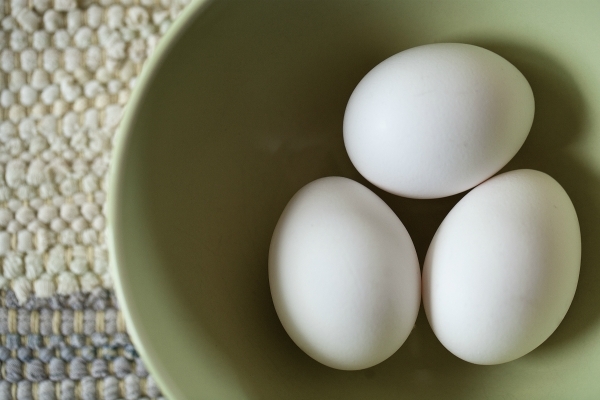 Here’s a quick trick to soft-boil your eggs… place it in the water when you turn on the stove. When the water boils, pull the egg out and stick it into ice right away. Now you’ve got a pretty perfect egg! Compliment that with your favorite seasonal veggies. Make sure to try a personal favorite: grilled asparagus with butter, lemon, and parmesan. You can do so much with egg salad that it borders on the ridiculous. It pairs well with seafood – a king crab egg salad sandwich with a touch of pink salt, cumin, and fresh basil is outlandishly good. A classic recipe is to add paprika and salt. You can use virtually any kind of cheese with it. Turmeric helps to add a little extra flavor and increase the vibrancy of the yellow colors in the salad. If you can dream it up, egg salad can probably pull it off. It’s heavenly to put a little devil into your diet. After hard-boiling your eggs, cut them in halves and scoop out the yolks. Now turn the yolks into creamy goodness by adding a little mayo, a little dill sauce, and a touch of heavy cream to place back into the spooned-out cavity. Sprinkle with paprika or chili powder and you’ve got an instant treat! If you’re not so good at making omelets [like me]then this one is perfect for you. Create a two egg omelet, fill it with cheese, and don’t worry if it breaks while you fold it over. Now repeat the process and make a second omelet. Place these to the side and create your filling next – mushrooms, provolone cheese, a few scallions, and some optional chicken chunks can go in there. Cook the chicken first, then mix in the mushrooms and scallions until the whole lot is cooked. Let the cheese melt over the mixture when completed, and then use the filling between the two omelets. For added fun, cover it in Hollandaise and use your fork! What’s your favorite way to enjoy eggs? Share your favorite recipes with us! Previous ArticleVIDEO: Awesome Life Hacks for the Summer! Nice! Here’s another – egg pasta. Idea for a quick meal with carbs and protein! Just boil your pasta in the usual way, drain then put a little oil in the bottom of the pan you just used and crack in an egg. Scramble it, then throw the pasta back in, along with some Italian herbs and pepper and it’s ready! Do you have any souffle recipes that you’ve tried and are easy to make? I will start googling some souffle recipes, but it’d be nice to find one that someone that tested a recipe already, especially for something that looks fancy and complicated!